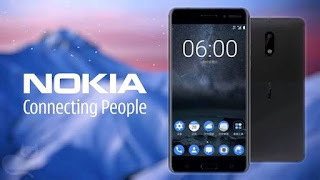 HMD Global’s current top-end Android offering, the Nokia 6 is now open for registrations for its first sale via Amazon India scheduled on 23 August. The e-commerce giants have also stated on their website that registrations are mandatory to be a part of the sale next month. 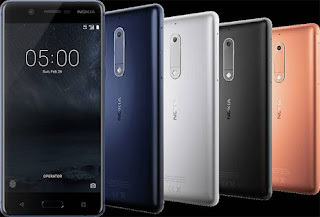 The Nokia 6, which was launched in India back in June, will be offered along with a number of launch offers for the sale. The smartphone, which is priced at Rs 14,999, includes a Rs 1,000 cashback for Amazon Prime users if they make the purchase using Amazon Pay balance. There are some caveats to this, and it appears that you’ll get Rs 500 off if you’re already a Prime subscriber and Rs 1000 off if you subscribe to Prime and purchase the phone. The Prime subscription costs Rs 500. Other launch offers include an exclusive for Vodafone users who will get up to 10 GB data every month at Rs 249 per month for 5 months on the Nokia 6. All buyers will also get an 80 percent off on Kindle eBooks, the maximum discount will be limited to Rs 300, along with Rs 2,500 off on Makemytrip.com (Rs 1,800 on hotels and Rs 700 off on domestic flights). The Nokia 6 sports a 5.5-inch Full HD display with 2.5D Gorilla Glass on top. The phone sports an aluminium unibody design and is powered by a Qualcomm Snapdragon 430 SoC. In terms of memory, the phone comes with 3 GB of RAM and 32 GB of internal storage. This storage can be further expanded using a microSD card. The phone runs the latest Android 7.0 Nougat OS and HMD Global have confirmed that the phone will receive an Android O update when it arrives. As for the cameras, there is a 16 MP primary camera on the phone with a f/2.0 aperture and an 8 MP front-facing camera also with a f/2.0 aperture lens. The rear camera of the phone comes with phase-detect AF and a 3,000 mAh battery. The Nokia 6 will be available in the same colours as the Nokia 3 and Nokia 5 including Matte Black, Silver, Tempered Blue and Copper. The Nokia 6 is also the only smartphone by HMD Global that will be available exclusively online in India.